This week we made a craft to remind us that God keeps His promises. 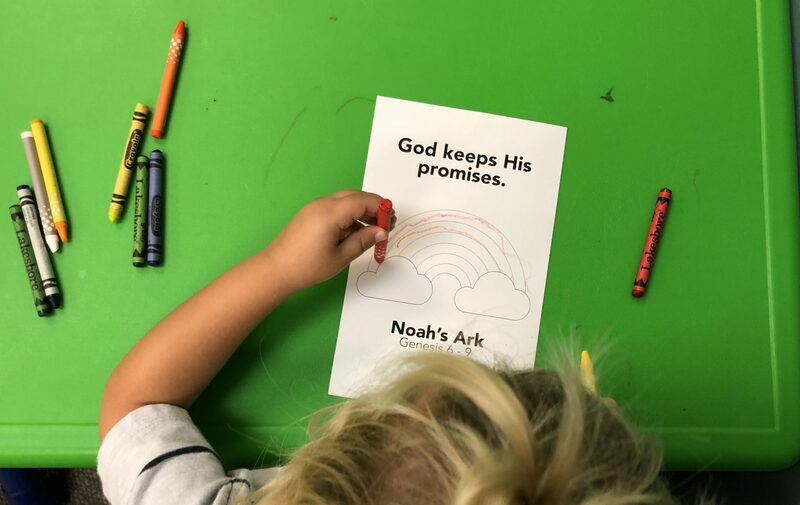 Grab the rainbow your toddler colored and play a fun game with your toddler to help them remember that God keeps His promises! Say the following promises and encourage your toddler to hold his or her rainbow in the air. Continue as long as your toddler is interested.